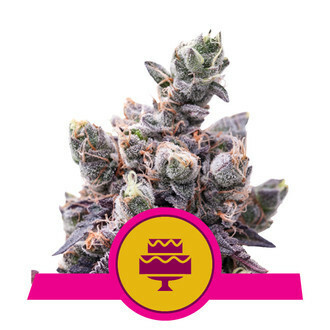 Wedding Gelato is a delicious and visually stunning cannabis strain. She is the result of a breeding project that used parent strains Wedding Cake, Gelato, and Gelato 33. The aim of this project wasn't to allow one set of genetics to dominate, instead it was to create a fusion of all three of these wonderfully flavourful varieties in equal balance. The work certainly paid off. Wedding Gelato was gifted with the very best traits of her parent strains, from the high all the way to her physical appearance. 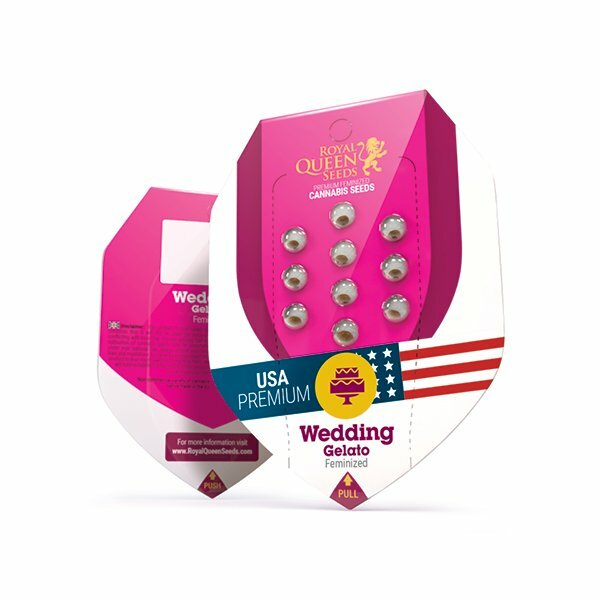 Each hit of Wedding Gelato is infused with scents and tastes of pepper, sweetness, and sugary notes. Her genetic makeup is an almost perfect balance between 40% sativa genetics and 60% indica genetics. The high is therefore balanced between a cerebral head high and a soothing and therapeutic body stone. The trichomes within her flowers get hard to work during the flowering phase and churn out THC values in excess of 25%. This incredible strength means that it only takes a small portion of this feisty lady to immediately feel blasted into space. Her impressive potency makes her a great strain of choice to craft some out-of-this-world cannabis oils and extracts. Wedding Gelato produces thick and beautiful flowers that boast stunning shades of dark green and purple. Pulling these flowers out of a stash jar during a smoke session with friends will certainly impress. She can be grown successfully both indoors and outdoors. Indoor plants provide yields of 450–500g/m² and top out at easily tamable heights of 100cm. Plants cultivated outdoors within the elements produce yields of 350–400g per dried plant, and grow to much taller heights of 200cm. Expect to harvest outdoor crops during early October. Wedding Gelato has a flowering period of 8–9 weeks.